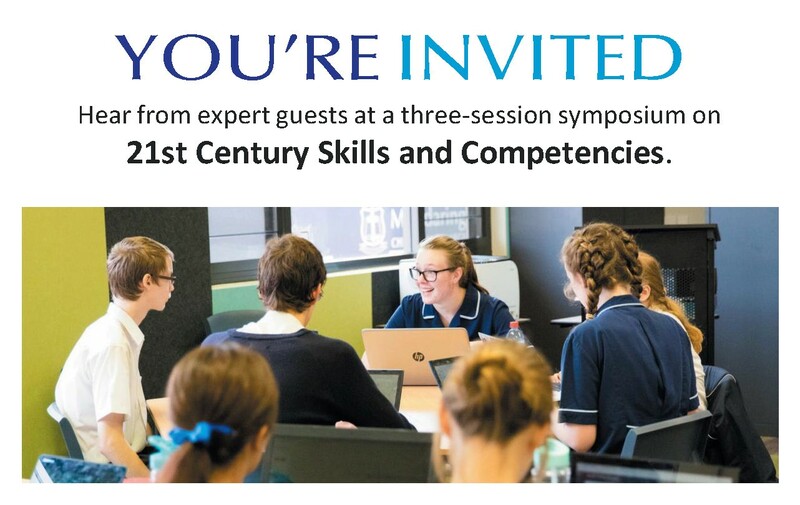 Mundaring Christian College has booked some fantastic speakers for the 21st Century Skills Symposium which starts next week. Dr Peter Prout: Dr Prout is currently a university lecturer/researcher, and Coordinator of the Graduate Diploma of Education Programme (Secondary) at Edith Cowan University, West Australia. Dr Prout’s working career includes High School Teaching and leadership; Camps Director in Alberta Canada; Community Education Consultant in Canada and the USA; State Director Scripture Union, West Australia; Foundation Principal of Carey Baptist College in West Australia. Dr Prout completed a Bachelor of Education at The University of West Australia (1971), and Masters (1973) and Ph.D (1976) in Educational Leadership & Administration at the University of Alberta. She has given hundreds of presentations to school leaders and teachers including addresses at national and international conferences, and has authored more than 30 books for teachers. She is currently Director of Teaching and Learning at Mundaring Christian College. Ryan Wilson: Ryan Wilson is the International Automation Manager for IMP Group, a company that specialises in robotics and automation for the mining, steel and cement industries. IMP has been in business for 30 years with offices in seven countries around the world. Ryan studied as a Mechatronic Engineer at Curtin University graduating in 2007. Since then, he has further specialised his skills through studying additional courses and has ten years of field experience. He now oversees engineering design on all projects, globally. In addition, Ryan heads up the Research and Development Department, developing new technologies to challenge current techniques. Ryan has been directly involved in multiple world firsts which have not only improved safety, efficiency and accuracy for IMP’s clients, but have resulted in the re-writing of International Standards.